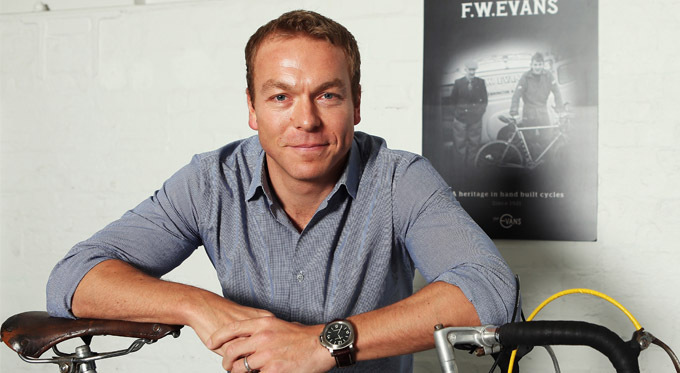 When you think of British cycling, Sir Chris Hoy MBE instantly comes to mind, as he is proudly placed amongst the most celebrated GB’s Olympic athletes of all time. With six Olympic golds to his name, and 11 times world champion, Chris is Scotland’s most successful Olympian of all time, and for a time, was the most successful British Olympian of all time too. Born in Edinburgh in 1976, Chris’ passion for cycling set in at a young age, but it was not immediately obvious that one day he would be one of the world’s greatest track cyclists. Instead, he preferred BMX and competed in bicycle motocross until 1991, followed by a brief stint in mountain biking. It was in 1992 that he started track cycling, and just two years later he won his first British Championship medal, a silver in the team sprint. Chris’ career took a positive turn when the British Cycling Federation launched the World Class Performance Plan, that provided funding so he could continue training while he completed his studies. He graduated from the University of Edinburgh in 1999 with a Bachelor’s degree in sports science and, just one year later, Chris was competing at the Sydney Olympic Games, where he won his first Olympic medal, a silver in the team sprint. The kilo event was scrapped after the 2000 Olympics, and he turned his attention to three other categories. The last time Chris raced the kilo was in La Paz, Bolivia, where he attempted to tackle the world record at high altitude. He missed out on the previous record set by Frenchman, Arnaud Tournant, by five one-thousandths of a second. Despite this disappointment, the following day he knocked more than a second off the world record for a flying-start 500-metre time trial, clocking 24.758 sec. He returned to the Olympics in Beijing in 2008, where he achieved a historic hat-trick of gold medals in the sprint, team sprint and keirin. He was the first GB athlete to gain three gold medals in a single Games since 1908. His success at Beijing quickly earned him a place in the hearts of the nation and he received a knighthood in 2009. When he competed at his home Olympics at London 2012, he picked up two more gold medals, making him one of the most successful GB athletes ever. Although he has now retired from competitive cycling, Chris is still a prominent figure in British cycling. He played a key role in presenting coverage of the Rio 2016 Olympics and the 2014 Glasgow Commonwealth Games. He has also written a series of children’s books – ‘Flying Fergus’ – and is hoping to release a second series. Perhaps his most exciting venture since his retirement, however, is launching his own range of bikes, HOY Bikes, which he created with the help of Evans Cycles. Although he is no longer competing, it is clear to see that the legacy of Chris Hoy is not fading anytime soon.